Bonjour Scrap ! : DCWV baby mini album new release ! Did you know that DCWV had a bunch of new releases these days ? 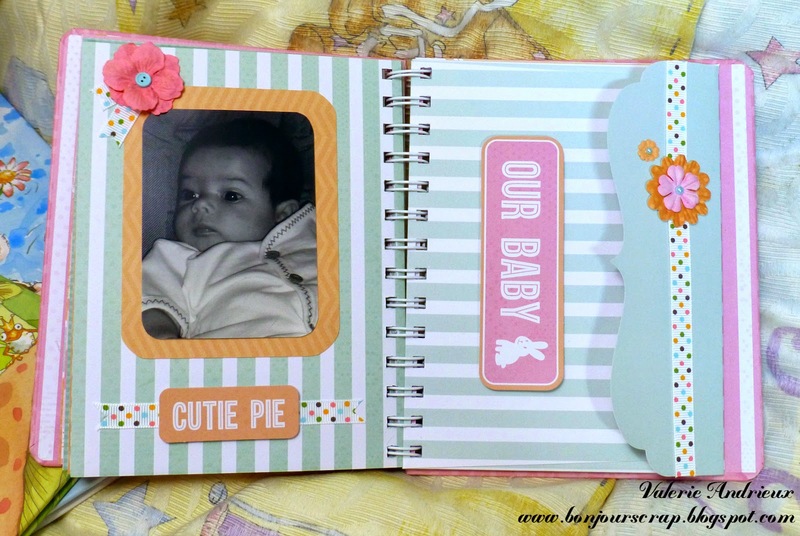 I was lucky enough to get my hands on a cute mini I used to create an album for for pictures of my daughter when she was a baby. 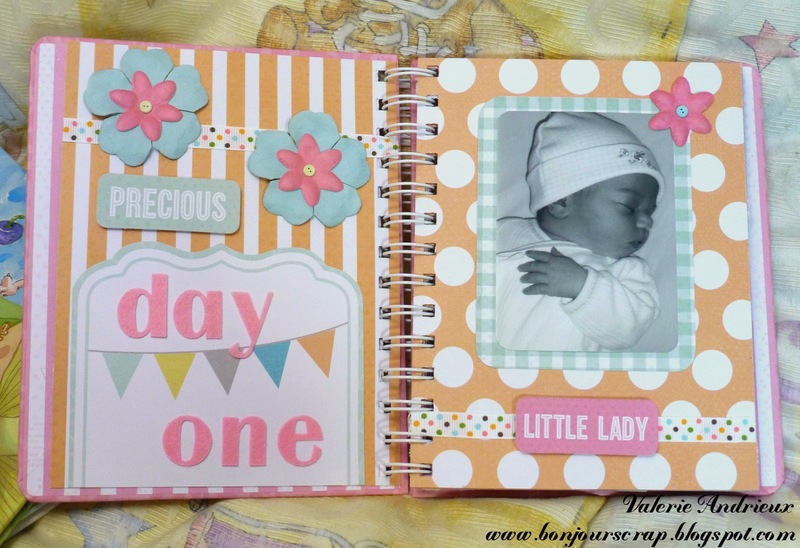 This mini is very versatile, with 19 pages, 26 cut outs, washi tapes and embellishments, and 4 additional pocket pages. I made some modifications to the original arrangement of pages, and use some of them to create mat for photos and new embellishments. 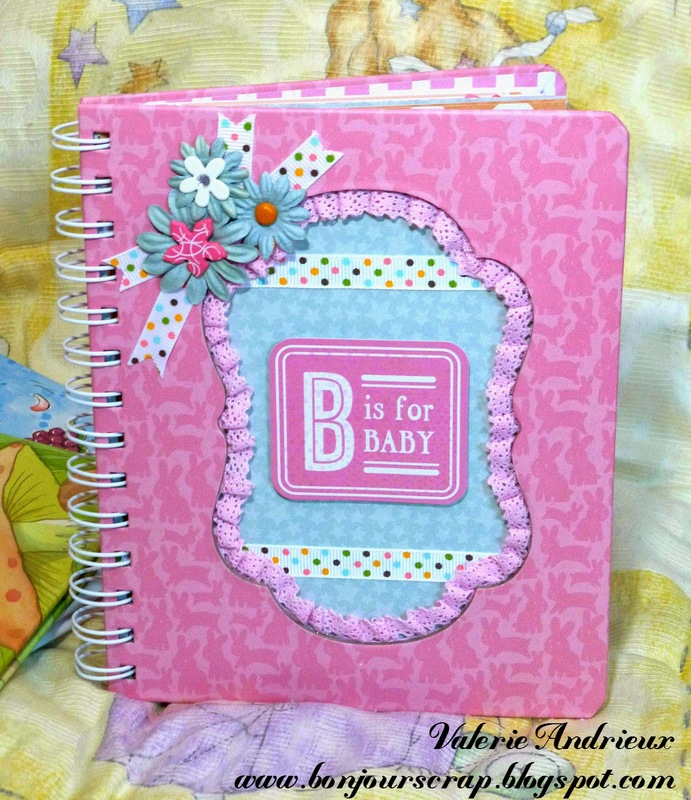 I add Prima Marketing flowers, brads and ribbons to personalize this cover. On the first page, I add a shape cut out of another page for the title, and used paper from another one to mat the picture. On the next picture, you can see one of the pocket page, where you can keep memorabilia. Picture is matted with paper from another page. Don't forget to take a look at all the great new items DCWV is presenting these days !